Being a MASSIVE lover of bullet journals since June 2016 of course I want a new one for 2017. However, I will say that I am very fussy when it comes to journals and notebooks; my 2016 bullet journal was a notepad which I had loved but never used and it was always just tucked away at the back of my draw but I finally gave it some good use, but for 2017 I actually want a proper layed out bullet journal. I designed my 2016 bullet journal so that it gave a week glance as I don't like the day-glance design much, it doesn't seem to work for me but if it works for you that's great! I also want to make sure that is has enough room for what I need to do in it. 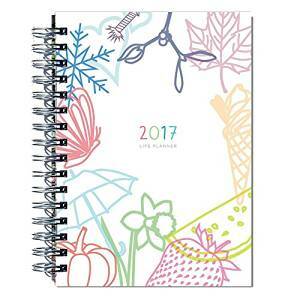 I came across this one on Amazon online and I love it look of it, not only does it have a week-by-week layout but it also has some extra handy pages to be filled in by you including; Blank notes pages, financial wishlist, budget chart, contacts list, bucket list for the year, Christmas card and gift list, Christmas to-do list, New Year resolutions list, month-at-a-glance, a year-at-a-glance and much more. How perfect? I'd be really happy if this is the only thing I receive for Christmas this year. Okay, this little paragraph is massive now so I will stop rambling and more on to the rest of the wishlist.. Since I was a little girl, every Christmas without fail my parents have bought me a colouring book - it's sort of like a family tradition now. 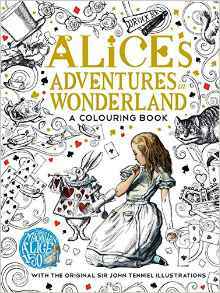 My colouring book I have chosen for this year is the McMillian Alice's Adventures in Wonderland colouring book. Not only will some money go towards an amazing cause but also it's Disney and who doesn't love Disney? I put this book in my Birthday Wishlist back in July and although I was given the money to buy it, I didn't end up doing so and spent the money on other things - I can't even remember what I spent the money on now either, bad I know. Since I loved Fleur's first book The Glam Guide and my mum always insists on buying me a book to read each Christmas I thought I would pop this one back onto a wishlist for this Christmas. Another thing from The Body Shop which I have added to my Christmas wishlist this year is their Vitamin E Overnight Serum-in-Oil. I love The Body Shop's vitamin E range as most of you know already and I was really impressed by their vitamin E sleep-in-mask so I really want to give this overnight serum-in-oil a go and see if its just as good, or better even! Another thing my mum always practically forces my brother and myself to ask for at Christmas time is an aftershave for him and a perfume for me - although we don't mind really! I have put The Body Shop Atlas Mountain Rose Eau De Toilette perfume on my Christmas wishlist this year as I really love the smell of it and I think the bottle it comes in is so beautiful. Plus of course because it's The Body Shop, it's all natural and is cruelty free! I don't know about anyone else but I love smelling wonderful every single day and my little "smelling routine" is deodorant, body spray and then perfume. I've never tried any of the Soap and Glory body sprays in the past (other than little samples of them when shopping) so I have decided that I want to give them a go and I thought what better way than a three pack gift box. Has anyone else tried this? What did you think? To me, Christmas isn't Christmas without asking for some bath bombs so this year I have added the Bomb Cosmetics Santa's Sleigh Ride Gift Pack to my Christmas wishlist. I'm pretty sure this was on my 2015 Christmas Wishlist but since I didn't receive it then, I thought I would add it onto this years one with my fingers crossed hoping I receive it this year instead. Massive thank you to Amazon Online for teaming up with me on this blog post. If you haven't already then you can make your own free Amazon account by signing up on their website and create your own wishlist. 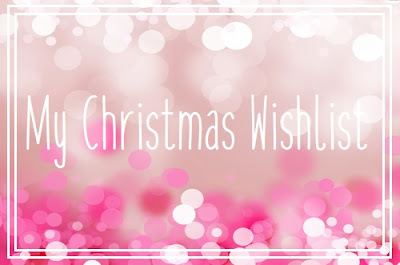 If you would like to see my Christmas Wishlist on Amazon then you can do so here. That planner looks like a great buy! I need to make a wishlist this year because my mum and day keep asking! I absolutely love Bomb Cosmetics so I'm definitely loving the gift set you put down! I also love the idea of those Soap and Glory body mists.. I need some! I love the look of that Alice colouring book! Great wishlist lovely! The Vitamin E range from the body shop is amazing for the skin!! Love the life planner! I so want to try the body shop Oil! 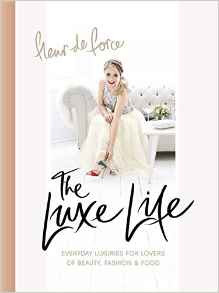 I've read most of the Fleur De Force - The Luxe Life book and it's great! The Vitamin E range from the Body Shop is so great too. I used to use the Vitamin E range and I loved it! Also really want that book, Fleur is one of my favourite youtubers! That santa sleigh ride gift pack looks so lovely! The Alice in wonderland colouring book is lovely 😍 so so want!!! And the bomb cosmetics stuff looks so nice too! That Alice In Wonderland colouring book looks amazing! 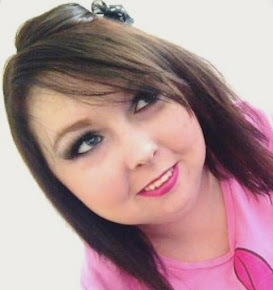 And good choice on the Soap and Glory bits babe, I love anything from their range. Great post, getting me all excited for Christmas!